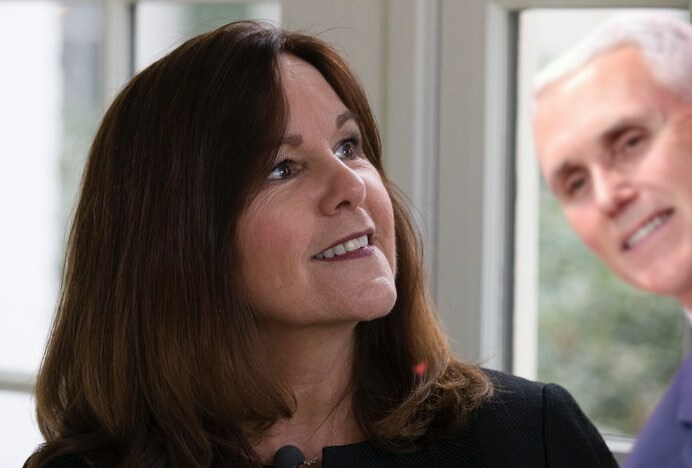 Karen Pence, wife of Vice President Mike Pence, just started a new job this week. She's an art teacher at a Christian school that makes job candidates sign a pledge not to engage in homosexual activity. Gay kids, you're not welcome either. The Pences are nothing if not consistent. Consistently horrible. Huffington Post's Rebecca Klein reports that the school where Pence now works discriminates against LGBTQ people in its job application, and doesn't want any queer kids around, either. Immanuel Christian School in Northern Virginia makes it clear right in their online application [PDF] and job application form [PDF] that they don't welcome everyone. The “parent agreement” asks parents to cooperate in its “biblical morality” policy. Under this policy, parents are to acknowledge the sanctity of marriage as a strictly heterosexual practice. Families who condone, practice or support “sexual immorality, homosexual activity or bi-sexual activity” go against the principles of the school, per the document.